The Club Orlando Vacation Resort has everything that travelers need to enjoy a memorable stay in one of America's most popular destinations. These Orlando timeshares for sale put guests within close proximity of most of the region's major attractions, making them an ideal choice. Orlando is recognized as the theme park capital of the world. Thanks to the presence of major players like Disney, Sea World and Universal Studios, there's never a dull moment. Visitors can also enjoy water parks, golfing, shopping and the attractions on International Drive. With so much to do, it's easy to see why families choose Orlando as their destination of choice year after year. 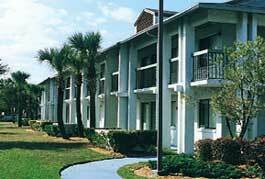 Club Orlando Vacation Resort is unlike many of the properties in the area. 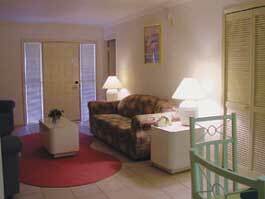 It's located in a quieter, more residential area, which means that it provides a respite for guests. Nonetheless, it is within a short drive of many of the most popular attractions. Visitors are frequently impressed by the cleanliness of the facilities and the friendliness of staff members. An outdoor, heated pool is the ideal place to enjoy a dip while a playground offers a diversion for little ones. A tennis court earns raves from dedicated players and a game room has something for every member of the family. DVD rentals are available in the lobby. These Orlando timeshares for sale consist of one- and two-bedroom apartments that feature all of the comforts of a true vacation home. Master bedrooms boast a private whirlpool tub for that extra touch of indulgence. Full kitchens are well-equipped to handle meal preparation, and a grocery store is located nearby. Flat screen televisions with cable service make it easy for the whole family to be entertained. One-bedroom apartments sleep a maximum of four while the two-bedroom units can accommodate as many as six. 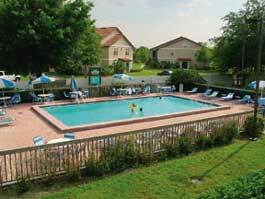 The Club Orlando Vacation Resort promises outstanding experiences for everyone in the family. Spacious, well-equipped rooms and an ideal location in the center of the action make this a favorite for travelers who are looking for a relaxing stay. Choose these Orlando timeshares for sale to start making unforgettable memories this year. Contact Club Orlando Vacation Resort Specialist Today!